Maryland Drivers Alliance: Montgomery County Speed Camera Captain Boasted Of Error Rate "Under Ten Percent"
Montgomery County Speed Camera Captain Boasted Of Error Rate "Under Ten Percent"
During the 2013 general assembly, Montgomery County led a concerted taxpayer-funded effort to kill "speed camera reform" legislation which would have ended the practice of paying speed camera contractors a "bounty" based on the number of citations issued, and which would have required speed camera citations to provide secondary evidence of speed to help identify errors. As part of the campaign to kill this legislation, the head of Montgomery County's speed camera program, Captain Tom Didone, wrote in an email to a state Senator that "Our current error rate by our vendor is under 10%". Captain Didone, Director of Montgomery County Police Traffic Division, sent the statement on March 20th to the personal email of Senator Madaleno (D, Montgomery County). The email was composed after he was asked by Verna Price of the Montgomery County Office of Inter-Government Relations a question pertaining to Senate Bill 207, a credible speed camera reform bill sponsored by Senator James Brochin (D, Baltimore County). "Does the flat fee rate result in a higher error rate? ", prompted Price. Didone responded: "The short answer is yes, that is our belief and fear what will happen. Our current rate by our vendor is under 10%. Without proper incentive or management, we could expect the potential error rates to be much higher." Complete Email.... these statements are not "taken out of context"
Didone argued that paying per ticket gave the county leverage against the contractor . In the email, he dismissed the notion that a flat fee contract might include specific incentives to maximize accuracy "Contract provisions can be added but this often involves a legal process in which the vendors rarely get held accountable." "[They] only get paid to produce quality citations" wrote Tom Didone,"this can achieve an accuracy rate in the 90% range." Senate Bill 207 was introduced in response to systematic speed measurement errors discovered in Baltimore City, where the speed camera program has been shut down since April of 2013 due to the discovery that a limited number of cameras had error rates of five percent. Legislation was also prompted by a statement from Governor O'Malley that contracts based on the number of tickets did not comply with the intent of state law. Baltimore City previously ran its speed camera program under a per-ticket fee arrangement with speed camera contractor Xerox Corporation, the same contractor currently employed by Montgomery County. An investigation by the Baltimore Sun forced Xerox Corporation to admit that 5% of the citations at some Baltimore City locations were in fact due to errors, and a secret city audit leaked in 2014 confirmed high error rates in the city across the board. Baltimore paid their contractor based on the number of citations, under terms similar to Montgomery County's contract. "The Bottom line is this. The vendors are a for profit business. The leased or flat camera fee removes their incentive to always produce quality photographs or citations" wrote Didone. An existing provision of state law states "If a contractor operates a speed monitoring system on behalf of a local jurisdiction, the contractor’s fee may not be contingent on the number of citations issued or paid.". However this rule has been effectively nullified by local governments who, following the advice of the Office of Attorney General Doug Gansler, do not use the word "operate" in their contracts to describe what the contractors does. Governor O'Malley stated in December 2012 that "The law says you're not supposed to charge by volume. I don't think we should charge by volume, If any county is, they need to change their program." Nevertheless, Montgomery County continued to actively oppose changing the law to require local governments to meet the statue's original intent, at taxpayer expense. The Maryland Drivers Alliance argued in favor of the original version of Senate Bill 207, for which we took the position that the contingent fee contract was one of the root causes of the problems with Baltimore City's erroneous citations. We have argued that if the contractor removes faulty equipment from the field or rejects citations for which the evidence is inconclusive, under a per-ticket arrangement they immediately lose revenue. Our position has been that contractors have no financial incentive to issue erroneous or dubious citations under a flat fee since their costs increase the more tickets they issue, yet they make no more money by doing so. Their financial incentive under a flat fee contract would therefore seem to be to reject questionable tickets, rather than mail them, respond to complaints, and possibly need to support court hearings for them as well. The Maryland Drivers Alliance has argued that the legislative history of the state's speed camera law clearly stated that "The contractor’s fee for a speed enforcement system may not be contingent on the number of citations issued." and "Montgomery County would be expected to contract for the necessary services, although the vendors would not be paid based on the number of citations." state and local lawmakers promised the public that contractors would not be paid based on ticket volume. Shortly before the county's contingent fee contract became widely known, Montgomery County Executive Ike Leggett stated in an online forum that: "Based on our analysis, it is more cost effective to provide this service through a private contractor.". Leggett then stated "Under the contract, we pay a flat fee, and the County receives significantly more than 60 percent", a statement which was completely false. Didone testified against Senate Bill 207 before the Senate Judicial Proceedings committee on February 20, 2013. At that time he made no reference to error rates increasing under a flat fee arrangement in oral testimony in a committee hearing that was open to the public. "The issue was that when we started the program, we recognized the fact that when the county has to pay for a leased fee every month, and over time these citations start to slow down, the county faces the risk of of having equipment that has to be managed based on revenue and not based on the safety factor. In Montgomery County I manage this program as a traffic officer based on safety, I don't concern myself based on revenue. If you require us to have a flat fee, I then have to incorporate the productivity of these 50 fixed poles to keep them in existence." stated Didone to the committee. Senate Bill 207 was completely rewritten when it reached the House Environmental Matters Committee, replacing its text entirely with an impotent "reform" bill sponsored by Delegate Malone (HB929) designed to grandfather in Montgomery County's existing practices and contract terms. The loophole ridden HB929 was passed and passed off to the public as "reform" in the 2014 legislative session. 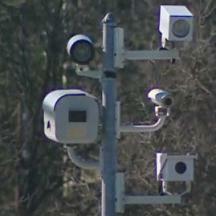 The fact that under the new rules local governments continue to pay their contractors based on the number of tickets issued, despite claims by the supporters of HB929 that the bill would "end the bounty system", has since been confirmed when a speed camera contractor bragged that they had locked in their existing bounty system contract arrangements with new contract extensions. Provisions of Senate Bill 207 which would have required citation images to provide enough evidence to verify speed after the fact, and thereby exonerate innocent motorists, were also killed at the insistence of Tom Didone and the Montgomery County government. The Baltimore Sun's investigation into the systematic speed measurement errors in Baltimore City utilized time-distance calculations based on image timestamps, which in that case had three decimal places of precision. Emails obtained by the editor of the Maryland Drivers Alliance revealed that Baltimore City and Xerox Corporation were aware of errors produced by these devices for 8 months before the Baltimore Sun investigation made the errors known to the general public. Citations issued by many Montgomery County speed cameras round timestamps off to the nearest second, making it impossible for a third party to verify vehicle speed after the fact using calculations. This makes it effectively impossible for anyone to independently validate the accuracy of citations after the fact. The provisions of HB929 passed this year (in close consultation with the Montgomery County government) actually reinforce that the local government issuing citations has an absolute monopoly on the ability to determine whether a citation has been issued due to a speed measurement error. Under the new rules even citations thrown out in court are forbidden from being counted as "errors".